Thick cloud drifted effortlessly through the shimmering light. The view from the room on the 19th Floor provided a wide perspective of the sky; the light and shade oscillating on the River. 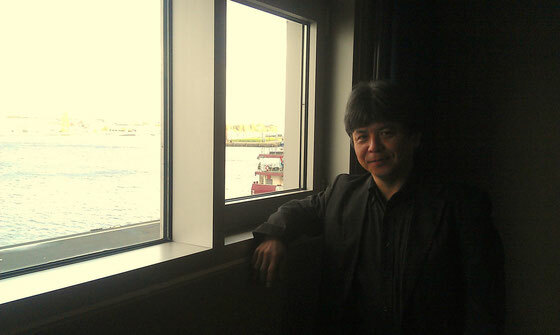 In the morning of Toshio Hosokawa’s concert Cloud and Light at Muziekgebouw Amsterdam, I had the opportunity to work on Hosokawa's Elegy for solo violin with the composer himself, in preparation for my upcoming recital at Tokyo Opera City Hall on 6th December. Elegy was written for the occasion of the late Miyako Umehara’s funeral in 2007. Hosokawa had a long term association with the family Umehara –his encounter with the ideology suggested by the renowned Philosopher Takeshi Umehara, shaped his perspective of the Japanese Noh and Buddhism. This subsequently connected to his own music, shaping a thematic philosophy throughout his compositions. The ideology as suggested by Umehara pursues the meaning of our connection with the spirit of the dead, exploring the reason behind existence of temples in Buddhism. This connection with the spirit of the dead is also an essential thematic element in Noh. On the day prior to our session on Elegy, I listened to Hosokawa's rehearsal with Nederlands Kamerorkest for the “Cloud and Light” concert programme, which included: Cloud and Light for Sho and Orchestra, Blossoming II and Meditation - for the victims of Fukushima and Tsunami. 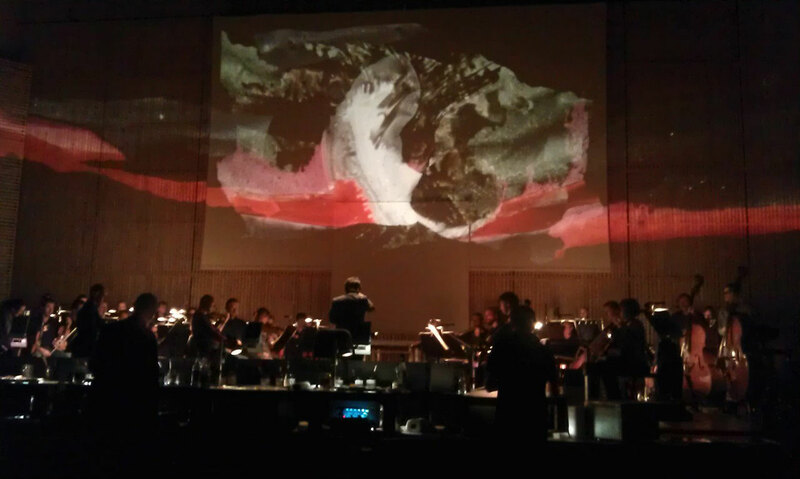 This was a very special occasion to hear his works in a wider spectrum, with the composer himself conducting the orchestra, and in addition, a collaboration with live visual Art by artist Norman Perryman. The experience was truly fascinating. The sound of the orchestra emanated from silence, weaving through an organic growth of sonority and sometimes developing to a thick wave of sound to fill a big canvas – and on this rare occasion, there was literally a big canvas (screen) on stage, with strokes of colours, shades and light developing throughout the piece as illustrated by Norman Perryman. After hearing the sound of the Sho performed by the renowned Mayumi Miyata in Cloud and Light, I was captivated by this web of sound and immediately wondered if the Elegy could also be portraying an element of this sound by the Sho and orchestra. I confronted this to him in our session the next day, but I was going on a slightly wrong direction with this idea – Elegy is the voice of a human song, in which the voice searches to connect to the spirit. It is not the sound of the earth, but a sound which hovers between the two worlds of the spirit and the earth. “Go deeper in this single line of sound – you will start hearing different sounds around you”. I realized it is not the exponential growth in the quantity or the volume of the sound that carries the music forward. Instead, it is the energy of the inner human voice and the emotion deep down in the heart, hoping to connect to the lost life, that becomes the driving force of this beautiful piece. It was a great privilege for me to work with the composer in preparation for my performances, as well as hearing the rehearsals and the concert at the Muziekgebouw. With so many new ideas derived from our conversation over these past few days, I am very much looking forward to performing this piece to the audience in Japan and UK. I will be playing Elegy in my recitals at Tokyo Opera City Hall on 6th December and “Music at 22 Mansfield Street” on 11th December in London.